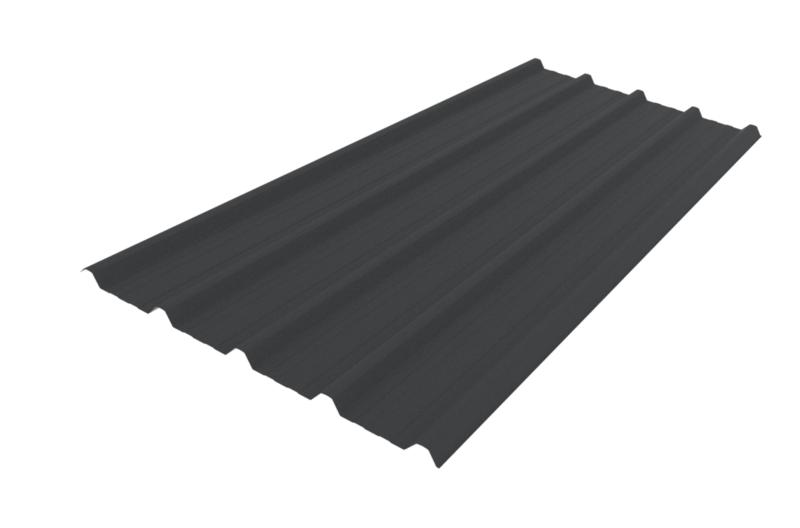 Offering a bold modern look, Hi Five allows you to maximise roofing and cladding efficiencies in your building designs. Supporting wide purlin spacing and performing well on low pitch roofs. It can additionally be crimp curved, offering unique architectural design possibilities. Also available in Audio-Perf®. 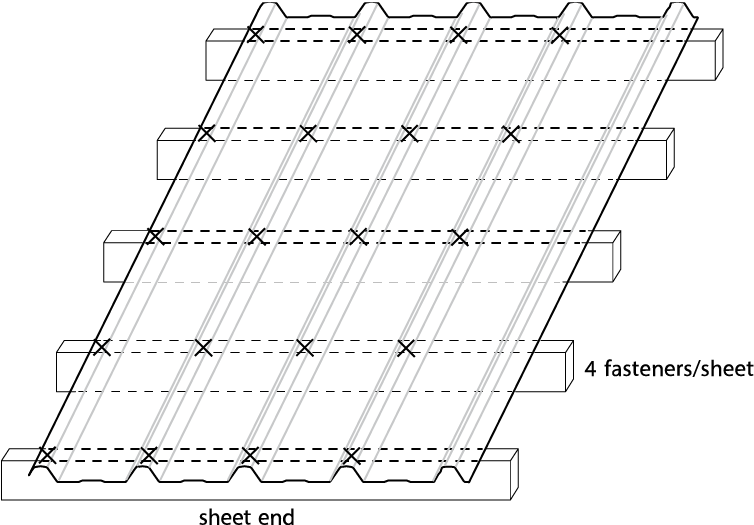 Sheet lengths: Hi Five is custom run to order. Loads given are based on 4 screw fasteners/sheet/purlin. The span capacity of Styleline, Hi Five and VeedekTM are determined from the Styleline, Hi Five and VeedekTM Limit State Load/Span Capacity Chart using the section of the chart appropriate to the grade and type of material, and to the category of serviceability selected from the three categories below. Serviceability loads have been derived by test to the NZMRM testing procedures. To obtain an ultimate limit state load we recommend factoring the serviceability load up by 1.4 in-line with NZMRM guidelines. Hi Five should be screw fixed to either timber or steel purlins. The use of the appropriate length of 12g screw will ensure failure by screw pull out will not occur under loads within the scope of the Limit State Load / Roofing Span Capacity Chart. For screw size range and fastener / washer assembly refer Section 2.2.3.1 of Technical Manual. The Limit State Load / Span Capacity Chart is based on 4 screw fasteners/sheet/purlin without the use of load spreading washers (except for Duraclad material, which must be fitted with profiled metal washers and 36mm EPDM seals). 1. On end spans, or large internal spans where the Ultimate Limit State distributed load is limiting. Contact Dimond for specific advice in these design cases. Use in serviceability categories (1) or (2) can allow the reduction of fasteners to an average of 2 screw fasteners/sheet/purlin. If this is done, the distributed load capacities given in the chart should be reduced using a multiplying factor of 0.5. 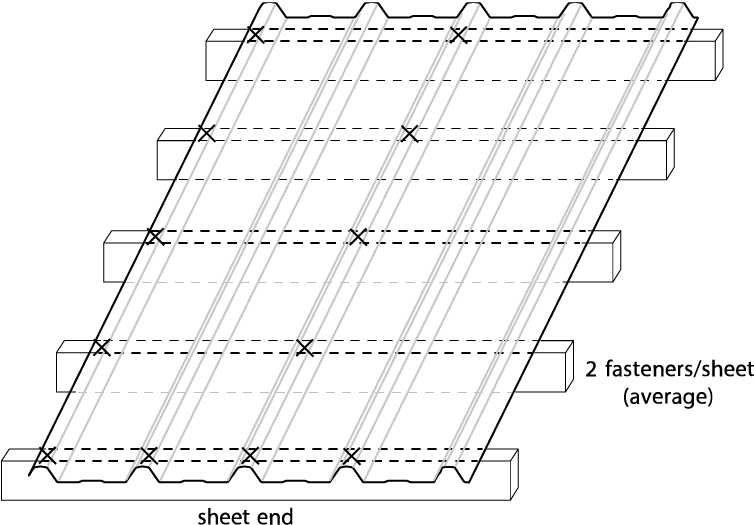 Long spans may require the specification and use of side lap stitching screws – see Section 2.3.2C Installation Information: Layout and Fastening of Technical Manual. Restricted access roof, 0.55mm G550 steel Styleline has a maximum end span of 1500mm and a maximum internal span of 2200mm. The following distributed load capacities apply. Need a brochure for this profiles? Here you can download our brochure with the basic information and details you need during the decision process.